Resistance exercise has recently been shown to improve whole-body insulin sensitivity in healthy males. Whether this is accompanied by an exercise-induced decline in skeletal muscle glycogen and/or lipid content remains to be established. In the present study, we determined fibre-type-specific changes in skeletal muscle substrate content following a single resistance exercise session. After an overnight fast, eight untrained healthy lean males participated in a ~45 min resistance exercise session. Muscle biopsies were collected before, following cessation of exercise, and after 30 and 120 min of post-exercise recovery. Subjects remained fasted throughout the test. Conventional light and (immuno)fluorescence microscopy were applied to assess fibre-type-specific changes in intramyocellular triacylglycerol (IMTG) and glycogen content. A significant 27±7% net decline in IMTG content was observed in the type I muscle fibres (P<0.05), with no net changes in the type IIa and IIx fibres. Muscle glycogen content decreased with 23±6, 40±7 and 44±7% in the type I, IIa and IIx muscle fibres, respectively (P<0.05). 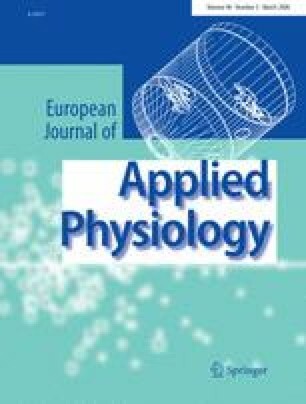 Fibre-type-specific changes in intramyocellular lipid and/or glycogen content correlated well with muscle fibre-type oxidative capacity. During post-exercise recovery, type I muscle fibre lipid content returned to pre-exercise levels within 120 min. No changes in muscle glycogen content were observed during recovery. We conclude that intramyocellular lipid and glycogen stores are readily used during resistance exercise and this is likely associated with the reported increase in whole-body insulin sensitivity following resistance exercise.